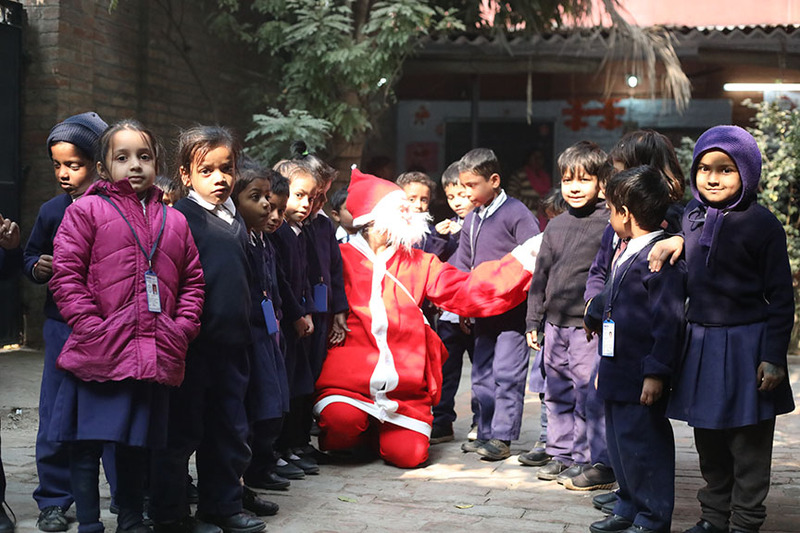 Every year the students at Naveen School wait for the arrival of Santa with great joy and patience. This year was not any different and the excitement to see Santa Claus was a wee bit more. The classrooms were decorated with beautiful handmade cards and stars! Like every year, Santa Claus distributed candies to children and sang songs with them. Post this celebration with the children, a lunch was organized for the staff and Christmas gifts were given to them. It was a wonderful afternoon as everybody came together for lunch and bid farewell to 2017 in a nice way! The winter break for school commenced from 28th December 2017 and the school reopened on 12 January 2018 for teachers and 17th January 2018 for the children. Normal classes are happening at Naveen School and side by side children and staff are starting to prepare for the Annual function which will be happening in February. The beginning of 2018 welcomed Varanasi with extreme cold mornings and nights. It is not so chilly now though!